Before actually moving on to the briefing, we had a few pre-show announcements that were quite noteworthy. The first was the option to show achievements in Snap mode, followed by a teaser annoucing the first character to be included in Killer Instinct Season 2 (TJ Combo, coming this Fall) and finally Happy Wars coming to Xbox One. 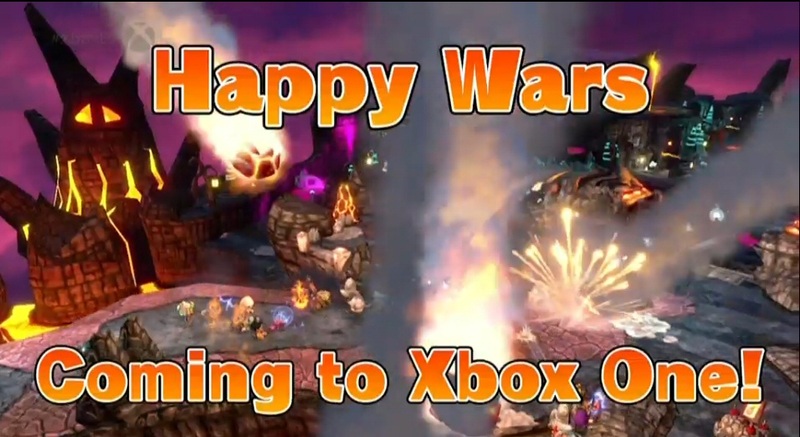 The briefing itself was packed with a variety of great games, and began by a heartfelt thank you to all the gamers and Xbox One owners around the world for making their voice heard and helping set the future direction of Xbox, �we are humbled and amazed by your support and feedback�. 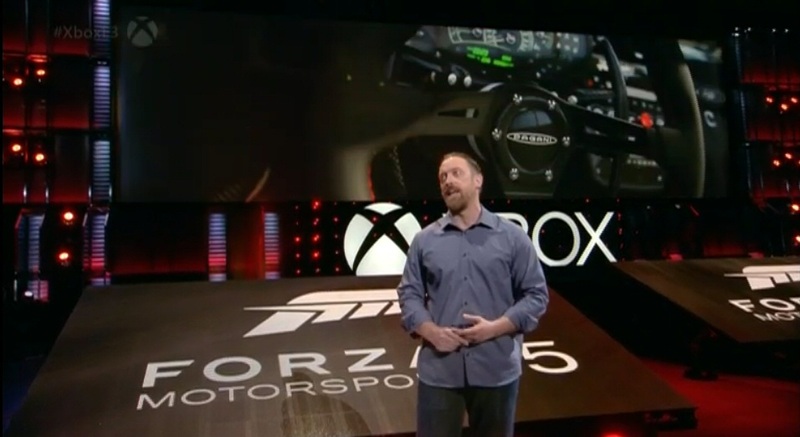 On the racing front news, Forza Motorsport 5 gets the brand new Nurburgring course for free, starting today. 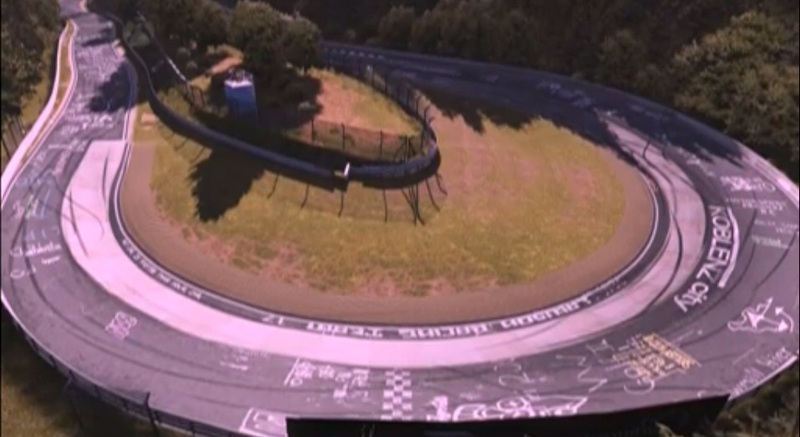 The track has been laser scanned and is accurate to the centimeter for extra realism. The epic, fun and socially connected Forza Horizon 2 will allow players to race through a massive wide-open world where we can observe dramatic weather and day/night cycles. Race through gorgeous and exotic locations in over 200 of the world�s greatest cars in 1080p. 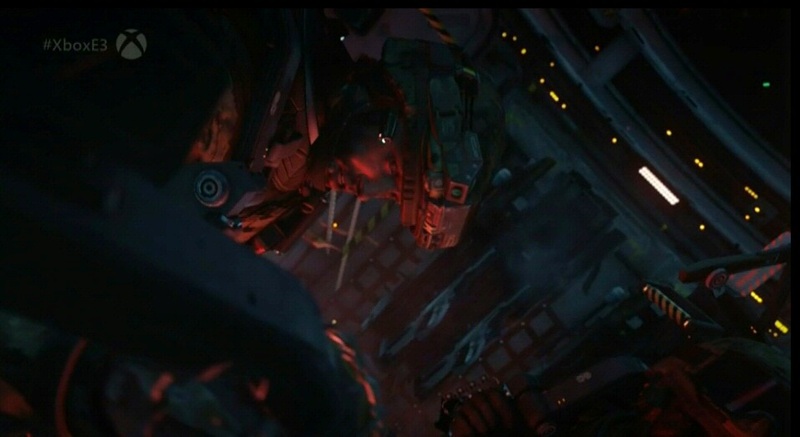 Although we didn't see an actual demo, the trailer for Evolve proved promising. 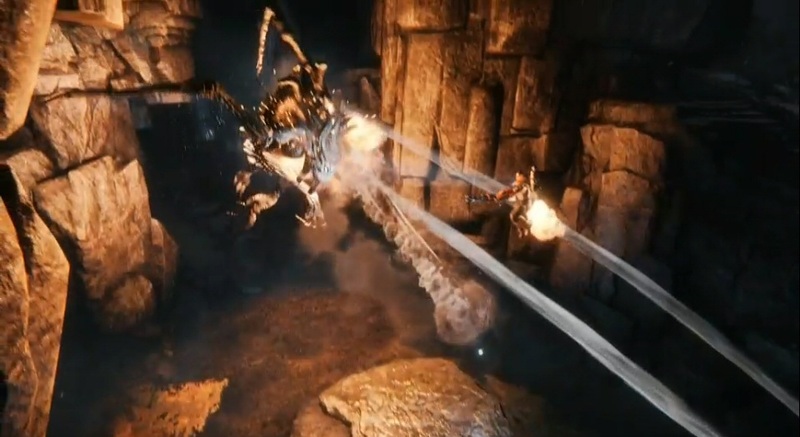 This multiplayer shooter allows four players to come together against one player-controlled Monster in exciting four-versus-one matches. You can play as one of the four Hunter classes (Trapper, Support, Assault and Medic) and team up to take down the beast, or choose to play as the Monster and use savage abilities to vanquish your human foes. The open beta begins this Fall. 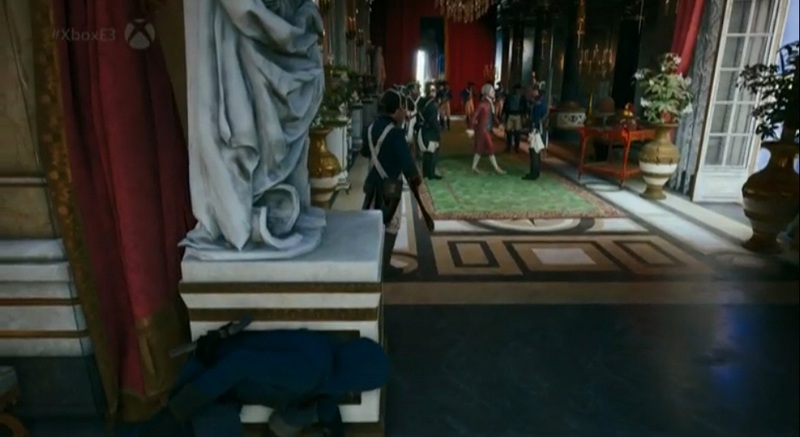 Assassin's Creed Unity takes place in 18th century Paris, during the chaotic and ruthless period of the French revolution. Unity marks the first time that you will be able to form your own brotherhood and join with up to three friends on Xbox Live. 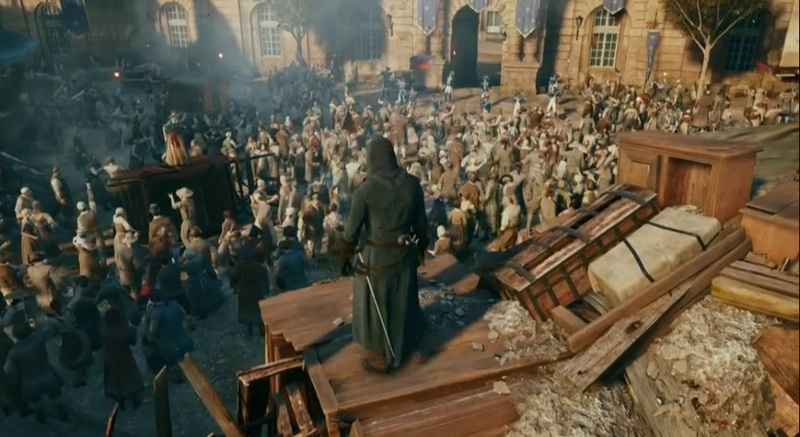 The gameplay demo shows how Unity redefines the Assassin's Creed series. You can transition flawlessly from highly detailed outdoors to even more impressive indoors settings in this massive game world filled with quests, activities and rewards. 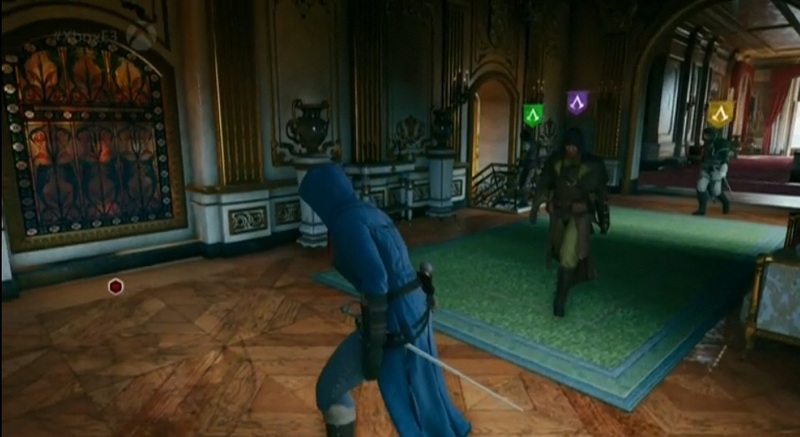 The other assassin's are represented by markers of different colors, and all can coordinate efforts to complete goals. Since Super Ultra Dead Rising 3 Arcade Remix Hyper Edition is quite the mouthful, we'll just call it Dead Rising 3 DLC. 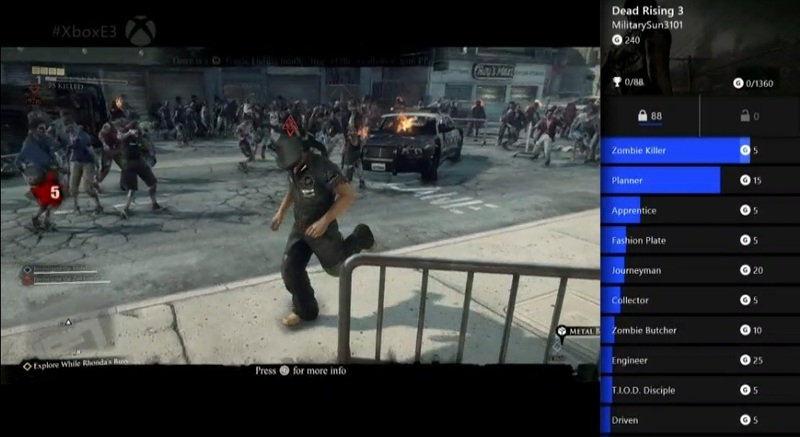 The new content adds a new four player co-op arcade mode that lets you play previous Dead Rising characters and Capcom characters while fighting zombie hordes, superzombies and shadow bosses. Sounds silly, looks like a ton of fun. Moving on to the music and rhythm games, Dance Central Spotlight is headed to Xbox One, featuring authentic dance routines and chart-topping tunes. An all-new soundtrack, over 50 songs available as add-ons at launch and more routines per song than before make this the ultimate dance experience on Xbox One, solo or with a friend. Disney Fantasia was also mentioned, but nothing was really shown nor details given. Powered by Unreal Engine 4, Fable Legends offers a new online experience that places four players against the a playable villain. Play with up to four friend in co-op mode, choosing one of the four heroes each with their own play style, or become the evil mastermind and control the battle from a different perspective. The multiplayer beta will be available this Fall. The ambitious Project Spark was once again highlighted this year, with a sci-fi expansion in the works and Conker as a playable character. Project Spark allows you to use your imagination and bring it to life in a digital world, creating your own stories and sharing your own games with others. 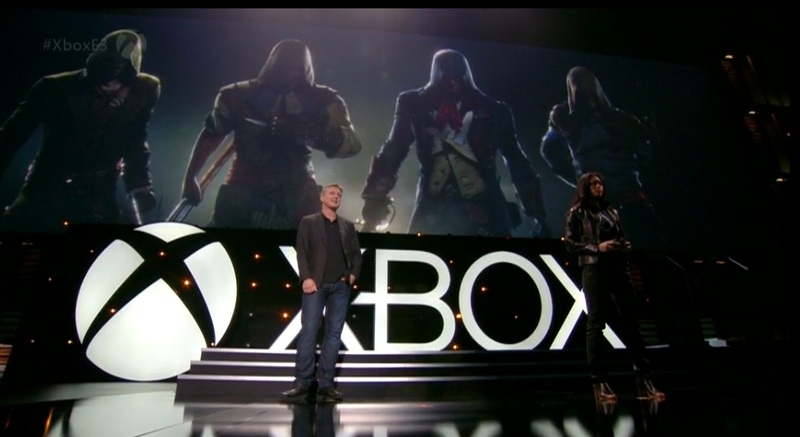 The game will transition from betal to full release on Xbox One this Fall. A very curious and emotionally charged trailer for Ori and the Blind Forest followed, but I'm sure it was quickly forgotten at the announcement of Halo: The Master Chief Collection. This is THE Halo game to have in your Xbox One games collection come November 11. It includes Halo Combat Evolved Anniversary, Halo 2 Anniversary, Halo 3 and Halo 4, giving you over 100 multiplayer maps to fool around in. The original Halo 2 multiplayer is included, but now runs at 60fps and in 1080p, with the maps running on their original engines in dedicated servers. 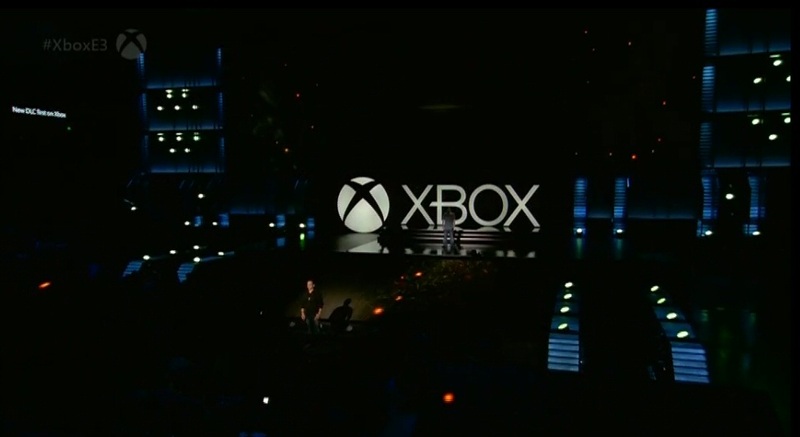 In addition, �Halo 2 Anniversary� will include six all-new maps built from the ground up for Xbox One. Owning the Master Chief Collection gives you the chance to boost up your gamerscore by another 4000 points. Included with the Collection is Halo: Nightfall, an original live-action digital series that introduces a new character in Halo 5: Guardians. That's right, more Halo announcements! Halo 5: Guardians multiplayer beta will begin this holiday season, and is included in The Master Chief Collection. 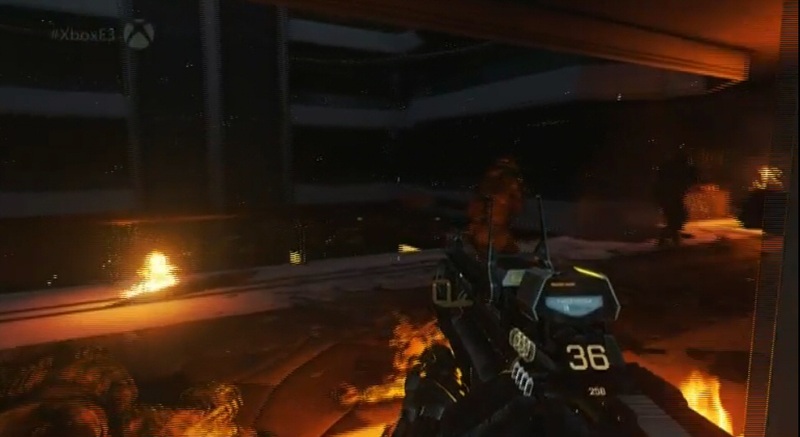 Also noteworthy is the unlockable exclusive content in the Collection, which will carry over into Halo 5. A montage of quick teasers followed, showing a pretty extensive variety of indie games, and then moving on to more big announcements of familiar franchises. Lara Croft returns in Rise of the Tomb Raider, taking gamers to multiple locations around the world filled with the most beautifully hostile places on earth. Insert here fangirl squeels as I excitedly watched the new footage of The Witcher 3: Wild Hunt. As Geralt's trilogy comes to a close, it was nice to see some familiar faces and a few new ones that I so far only know from the books, and it's amazing how well you can recognize them even just by reading their descriptions as text. The demo showed how Geralt uses tracking to find a Griffon, a glimpse of the preparation and inventory screens and we got a taste of combat. I can't wait to play it! On with the show, a reimagined version of Phantom Dust was announced, featuring new graphics and gameplay. In Tom Clancy's The Division a classified unit of self-supported tactical agents, is activated. Leading seemingly ordinary lives among us, The Division agents are trained to operate independently of command, as all else fails. Fighting to prevent the fall of society, the agents will find themselves caught up in an epic conspiracy, forced to combat not only the effects of a man-made virus, but also the rising threat of those behind it. If you didn't have enough of dragons with Dragon Age: Inquisition, Scalebound is bound to catch your eye too. The trailer looked awesome! This action-packed game lets you battle alongside fearsome dragons and will use the power of Xbox Live to deliver dynamic and immersive gameplay. 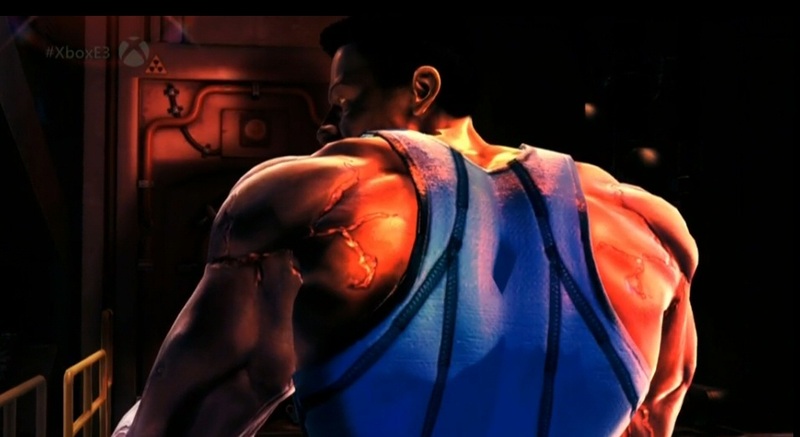 A new Crackdown was revealed at the end of the briefing, featuring the usual open-world concept and a whole new campaign fully playable in co-op. This time around, the city isn't just your personal playground, but becomes part of your destructive arsenal. 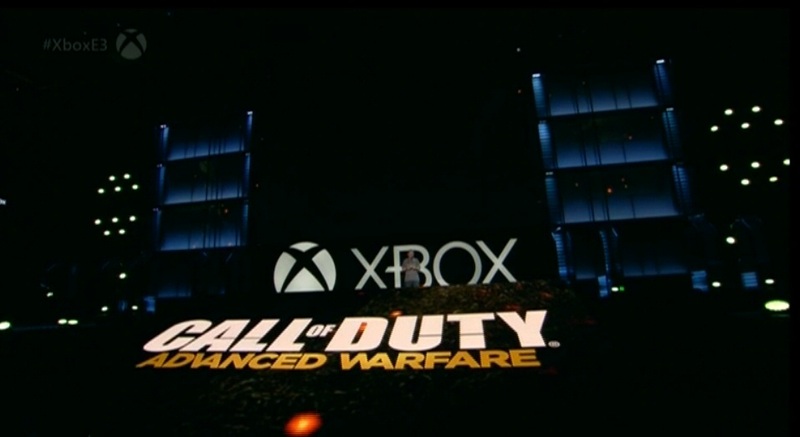 The multiplayer experience powered by Xbox Live promises verticality, crazy co-op chaos and plenty of destruction. With very little marketing talk, and all upcoming titles shown being Xbox exclusives or having some sort of perk regarding DLC, Microsoft showed that this year it really was all about the games and those who play them. And the angry masses have been appeased by the release of an Xbox One without the Kinect sensor which will retail for $399.